Shorthand for glamorous camping. Satisfying your craving for the outdoors and your penchant for a good meal, nice glass of wine, and a comfortable bed. Now why wasn’t this around all those years my dad made me camp in the middle of an island on Lake Ouachita. No electricity, no bathrooms and maybe a blow up mattress if we were lucky. Glamping is a growing trend across Canada and the United Kingdom. In Canada, The Clayoquot Wilderness Resort, offers a 3 night stay in a tent fit with Persian carpets, down duvets, butler service, and even a hot tub for a mere $4,100. There is actually an entire blog devoted to this luxury experience. 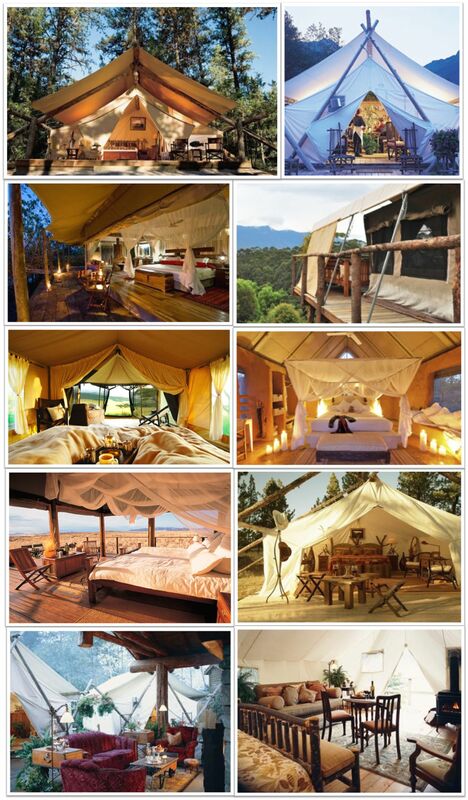 For more on on this and the best locations to “Glamp” check out at goglamourcamping.com. This entry was posted in Outdoor and tagged camping, glamorous camping, glamping. Bookmark the permalink. Camping is the greatest! MAN I wish we still had some more summer left.